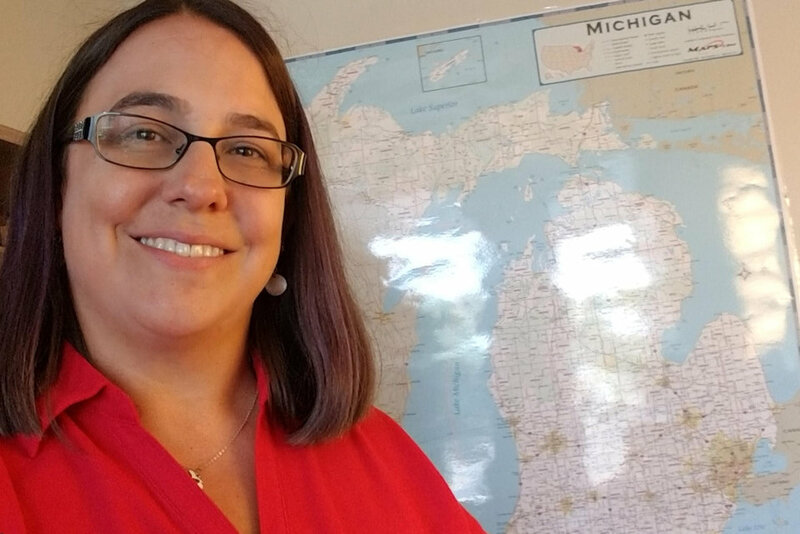 Meet Laura Witkowski, who began leadership as an Associate Director of Lay Leadership Development for The Michigan Conference on July 1, 2018. She is ready to partner with local church in BIG dreams. July 1, 2018 marked the day when The Michigan Conference took on new life. Nine new districts began to function, and new staff members began their ministry. As congregations enter a busy fall season of ministry and mission around the state, a new collaborative staffing model is in place to equip and support them. MIconnect has shared profiles of the Directors at the table. Now we continue with a series that introduces their Associate Director colleagues. 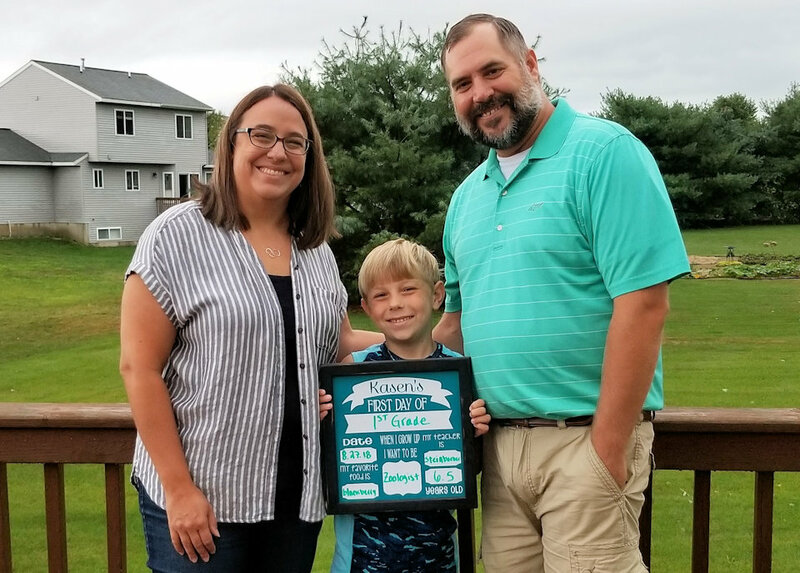 This week we get acquainted with Laura Witkowski, a young lay woman who already has given years of service in The West Michigan Conference. Laura was Secretary of the West Michigan Annual Conference (2006-2009) and then Conference Facilitator (2011 – 2018). During that time she also served as the Administrative Assistant at Trinity UMC in Grand Rapids. She began work in 2012 as the Administrator of the Connectional Ministries Office at 11 Fuller in Grand Rapids. Members of the West Michigan Conference elected Laura as an alternate delegate to the 2016 General and Jurisdictional conferences. She currently serves as Vice Chair on the North Central Jurisdictional Mission Council. Laura now takes up the role of Associate Director for Lay Leadership Development as a partner in the Office of Congregational Vibrancy. Laura can be reached at lwitkowski@michiganumc.org; 517-347-4030 ext. 4094. I grew up on the NE side of Grand Rapids with two loving parents, Al and Wendy, two protective big brothers, Darrin and Ryan, and special dog, Pebbles. My childhood was a typical mid-western one: riding bikes through the neighborhood, active in school sports, devoted to marching band, spending summers leaving the house at 10 am and getting back before dark (or calling my parents to let them know in which of my four neighborhood friend’s house we were staying), active in our nearby United Methodist Church. Busy, busy, busy and loved every minute of it! Although I was the youngest of three, I recently came to the realization that I was somewhat of an only child with my oldest brother being ten years older and my other brother being six years older. Most of my memories are with just my parents with some of all five of us sprinkled throughout. Aldersgate United Methodist Church in Grand Rapids, served by the Rev. Bill Johnson, helped me through the beginnings of my faith life. I remember taking confirmation seriously and consciously made the decision to follow Jesus Christ. My youth group leaders, David and Kathleen Ray, allowed me to ask the questions I needed to and figure out how to reconcile my head stuff with my heart stuff. My faith was deepened even more through the United Methodist Camp, Christian Athletic Camp. One week every year Rev. Jack Scott, an Indiana UMC pastor, would lead us in a deep dive of scripture. My faith was deepened by understanding how to apply scripture to daily life. The much-beloved band director at Northview High School, Mr. Max Colley, influenced my great appreciation of all things music. He taught me that teachers are cool, learning is fun, leadership is important, the arts matter and we must be kind to everyone. With my solid faith foundation, I went to college. At the time the newly formed Wednesday night Chapel at Albion kept me connected to my faith in the strange world of university life. There’s no way Carl Gladstone knows this, but I’m grateful for the seeds he continued to plant in this college freshman. I struggled at Albion in other ways and ended up transferring, eventually getting a psychology degree at The University of Memphis in TN. Living in Memphis for six years opened my eyes to a world outside West Michigan. I learned a lot about myself and what I am capable of while I was there. My spouse of 10 years, Matt, works at Trinity UMC in Grand Rapids as the Community Ministries Director. Our ‘coming together’ story is a good one that you can ask me about when we have time. Our almost 7-year-old son, Kasen, is a mini-Matt and seeing the world through his eyes is truly incredible. Our elderly dog, Meadow, is our first-born and rules our house. Where have you served and what lessons have you learned along the way about leadership? Most of my professional life has been as an administrative assistant in some capacity, some within The United Methodist Church, some within the corporate world. I have been blessed by working alongside strong leaders throughout my life. My colorguard captain, Courtney, in Drum Corps taught me how rewarding and important it is to never give up, even when it hurts. My supervisor, Asheley, at a medical billing company taught me how to be an effective but kind supervisor. Rev. Bill Johnson kicked off my professional career in ministry by recognizing my God-given gifts and skills and putting them to work! Bishop Laurie Haller taught me to be a leader of love and grace in the face of change; instilling in me that you have to love the people you lead. My colleague, Naomi García, taught me to lead with honesty and with authenticity. The last six years working with Rev. Benton Heisler taught me to be a leader who truly listens, even when it’s hard. He models for me that Christ is at the heart and center of all we do. Leadership starts there. Please describe the new role of the Associate Director for Lay Leadership Development as you understand it. Well, this is a fun one! There are very few positions like this in UMC conferences. My understanding is that my role is to be a partner in ministry with local churches, clergy, church staff and conference staff to dream big and develop and strengthen vibrant congregations. This involves being a resource, providing tools and supporting laity in becoming persons of influence in our communities. What are some hopes or goals that you have as you embark on your work? When it was announced that the Associate Director for Lay Leadership Development was the next part of my journey, I posted my excitement to my Facebook page and said “#MIUMC laity – I see you, I hear you, I love you. Let’s do this!!! !” I’m passionate about laity using their gifts in ways that can transform the world around them. I’ve been thinking of this position for a while and have ideas, plans, dreams, focus areas, resources and plenty of enthusiasm. A hope I have is that we laity can get back to basics. Starting with telling our faith journey, which is not about what committees we’ve been on or what churches we’ve attended. As leaders in the church we all have a faith journey to tell. My hope is to change the thought that your faith journey is just between ourselves and God. It’s not! How can we expect others to know and love Jesus if they don’t know why you do? What is God calling you to do to share the good news of Christ with others? My guess is it’s YOUR STORY. And that’s where we’re going to start together. Sharing laity trends and starting a Podcast focusing on how to model telling our faith journey. What excites you the most about your participation in the life of the new Michigan Conference? My excitement comes from the fact the Michigan Conference has put an emphasis on the laity of the church – the people. We’ve never done anything like this position before and that alone is exciting! Where do you see God at work in Michigan and the worldwide connection right now? UMCOR. 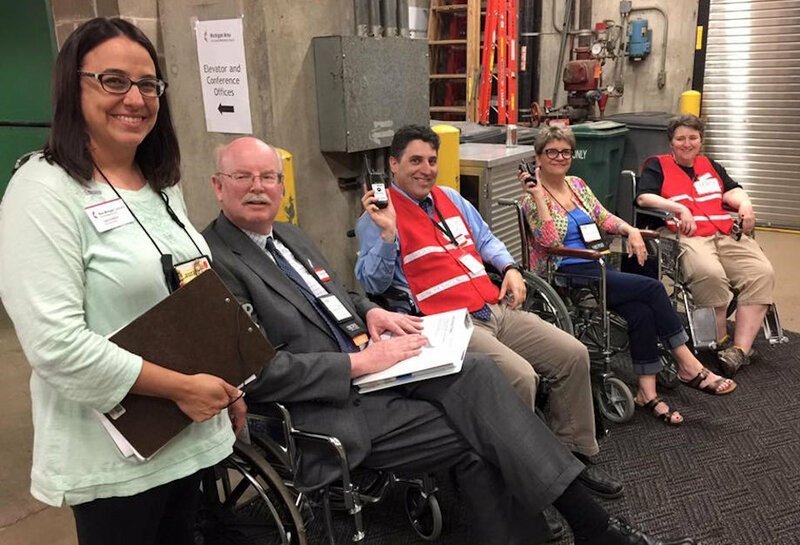 United Methodist Committee on Relief is my go-to answer. What would Jesus do without UMCOR? Am I right?!? What is it that nurtures, sustains and guides you in your work? Music. I can’t go a day without listening to music. When I’m stuck on a thought, I put on Hamilton: An American Musical. When I’m sad, I put on O.A.R. When I’m bored, I put on a 90’s playlist. When I’m hanging out in the back yard, I put on Jack Johnson. When Kasen and I need a dance party, we put on KidzBop (don’t judge us). When I’m in the office, it’s any number of random playlists, soundtracks or musicals. Music sustains me. Without a doubt, my spouse. Matt is always there for me in all my crazy head space. His community-based extrovert-ness helps me get out of my own head, where I tend to want to stay. He helps me dream big and color outside the lines. Our son, Kasen, guides my thoughts to the future. How will what I’m doing pave the way for future generations in the Church? His thoughtful questions and insights on life make me think about how I need to step up my game in the questions I ask and my part in sharing the radical love of Jesus to all I encounter on my journey.